When creating a project inspired by the vintage era, you would want to be consistent with the theme by using an old-looking background, washed out colors, and an outdated typeface. Vintage is usually defined as the time wherein the fashion is already outdated but not old enough to be called either retro or antique. To put it simply, it is the time that occurred a few decades ago. 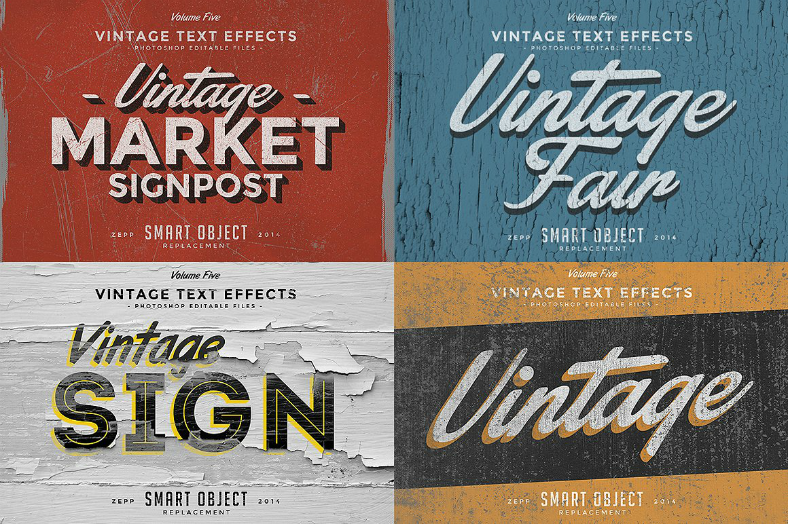 We have a whole gallery of vintage inspired text, text effects, and font types ready for download and use. Use these for school projects, office presentations, or even on videos if you plan on making a movie that is set during the vintage times. If you are not convinced that these vintage fonts can become useful for you, go ahead and scroll down to see them for yourself. The image above shows us only eight (8) out of the total ten (10) letterpress text effects that you can download for the price of only $6.00. Unlike others that only give you only one text effect for the same price, this one actually gives you more than what you pay for. This is a very good bargain since you will have a lot more to choose from for your project. 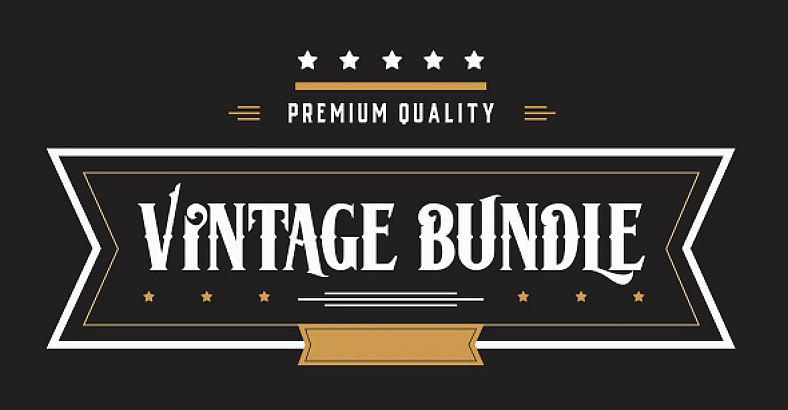 For only $6.00, choose from among fourteen (14) of the most creative and authentic-looking vintage typography fonts you can ever find with this set of designs. 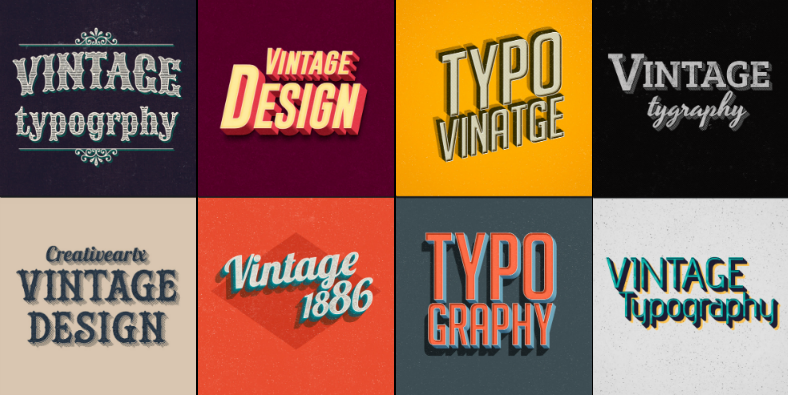 If you choose to download this, you will most probably don’t need to download any other vintage typography designs since you already have them all for the price of one. These text effect designs may appear futuristic, but this is how people in the 80’s actually perceive the future. For the price of $8.00, you will not only be getting these four (4) text effects, but you will also be getting an additional six (6) which makes it a total of ten (10) text effects on an abstract font for a very reasonable price. 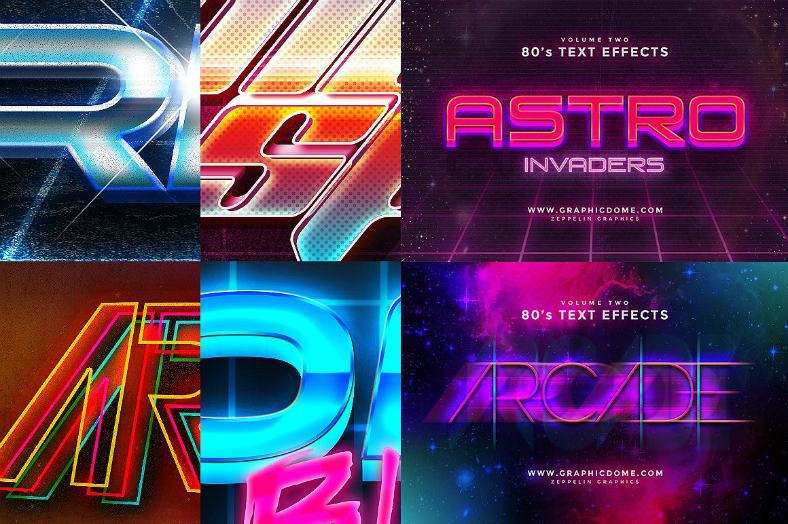 Download these techno text effects and bring another level of color into your projects. These designs were made very impressively. If you choose to have these printed on paper, you will be surprised at the effect these designs will bring. Because of the wooden texture of these backgrounds, they will provide a visual illusion that the printed output will appear wooden-like. Download these designs if you want to achieve a worn and torn wooden surface effect on your project. 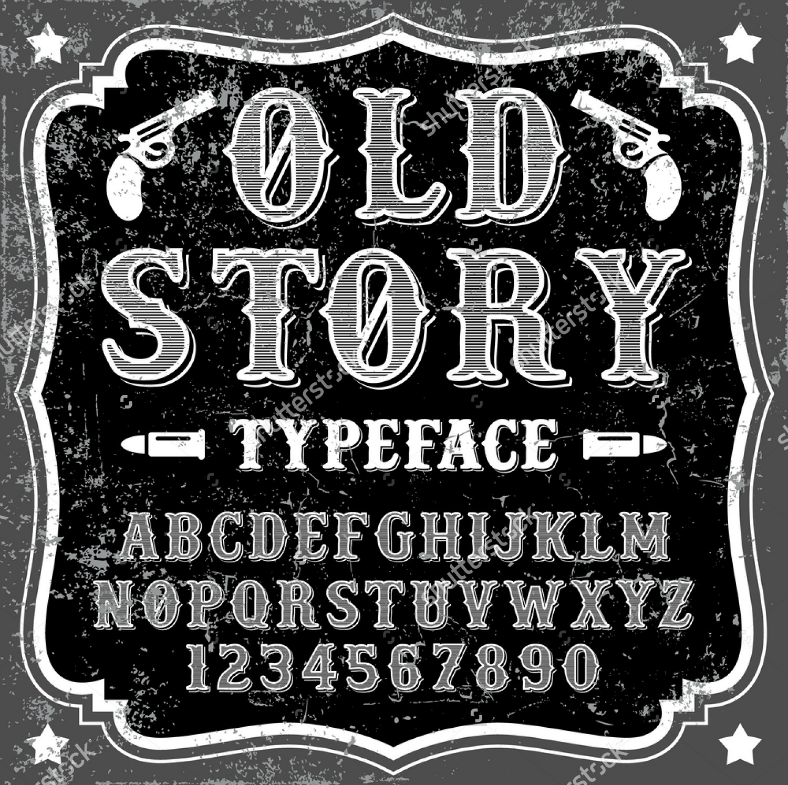 For photos, visual presentations, or videos that have an Old Western theme, use this typeface for making captions, titles, and other necessary texts. This artistic font design will make you want to relive the moments when cowboys and Indians ruled the land, and when John Wayne was the most recognized actor in the movie industry. 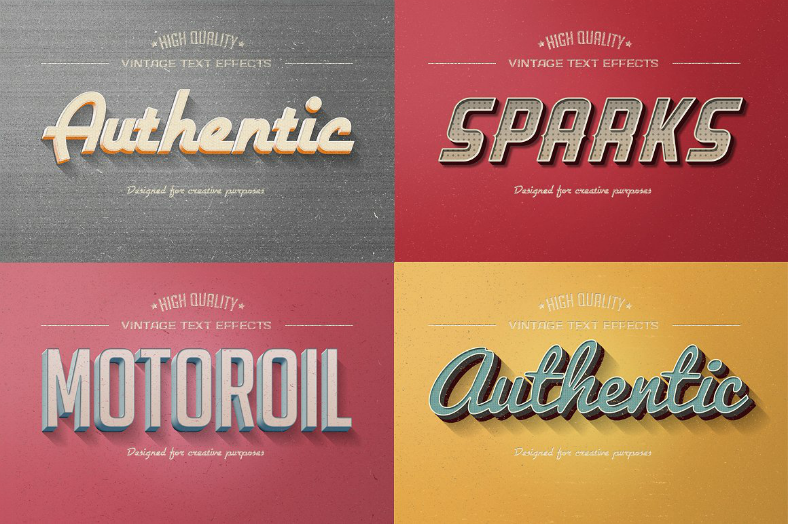 What did you think of our vintage text effects and typefaces? We sincerely hope this was more than enough to convince you of how it can be useful for your digital projects. These designs are the best ones from very reliable sources, and these designs were made by very inventive graphic artist who surely know their stuff. Quality-wise, these designs are in high resolution that even if you stretch these letters, they will still look as crisp as a fresh potato chip. These designs should be considered as some of the most creative typography fonts in existence. Downloading these designs can be done very easily. Simply click on the download button and pay its corresponding amount. These designs are fully editable through the use of Adobe software programs, though using other photo editors may still work, but some features may not be compatible. If you choose to have this printed, just make sure to use high quality paper to preserve the bright and vibrant colors as well as the sharp quality of these designs. So what are you waiting for? Start downloading a design now!